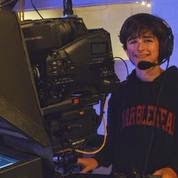 MHD Youth News: First Show, Season 4 is a Wrap! First Show, Season 4 is a Wrap! Season four kicked off in late October with new faces, old friends and all of the talent, charm and enthusiasm this show is now famous for. Watch it now and all month! Our next show tapes in two weeks so get ready! Christopher and Justin anchored the desk with skill and humor! Luca shared another great book review! 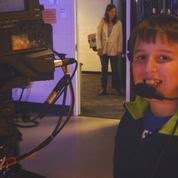 Camden stepped in as Floor Director with great skill and confidence. while Ben delivered the info on the national sports scene! Happiest of Everything from MYN!